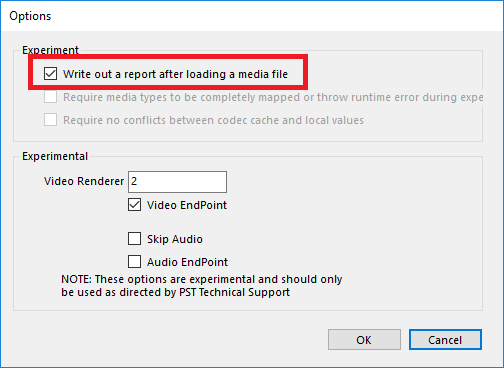 When a Sound/Movie object loads in E-Prime, an AudioLoadReport or VideoLoadReport XML file is generated to log which codecs were used during the load processing. These reports also help to determine if there are any errors. Uncheck "Write out a report after loading a media file".